Measure 101: 'Yes' vote maintains deal for low-income health care coverage; 'no' vote sends issue back to Legislature. 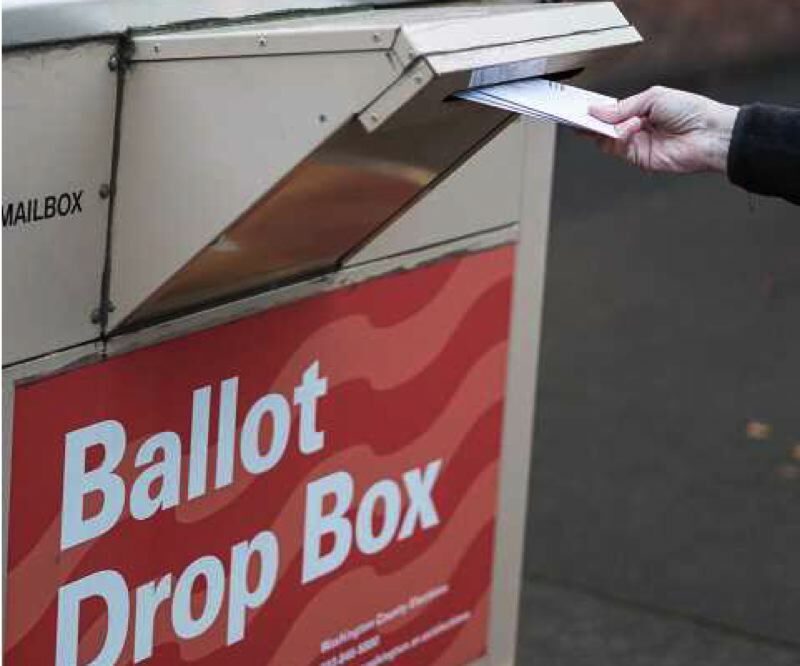 Washington County elections officials are asking last-minute voters to drop off their ballots at official collection sites as soon as possible so that all ballots are processed in a timely manner. The deadline for voting is 8 p.m. Tuesday, Jan. 23. As of Friday, Washington County had received 78,959 ballots; about 23 percent of all registered voters in the county. Ballots will be collected until the 8 p.m. Tuesday deadline at official drop-off sites throughout the county. On Tuesday, the Elections Office will provide drive-through ballot collection service at the County Elections Office, 3700 S.W. Murray Blvd., Beaverton. This drive-through service will be offered from 7 a.m. to 8 p.m. Tuesday. • Washington County Elections Office, 3700 S.W. Murray Blvd., Beaverton (Look for the slot in the front lobby). • Washington County Sheriff's Office and Jail Parking Lot, 236 S.W. Dennis Ave., Hillsboro (Temporary location due to seismic retrofitting at the Public Services Building). • Banks Library, 42461 N.W. Market St., Banks. • Cornelius City Hall, 1355 N. Barlow St., Cornelius. • Forest Grove, Pacific Avenue and Birch Street, Forest Grove. • Hillsboro Library Main Branch, 2850 N.E. Brookwood Parkway, Hillsboro. • King City City Hall, 15300 S.W. 116th Ave., King City. • North Plains City Hall, 31360 N.W. Commercial St., North Plains. • Sherwood City Hall, 22560 S.W. Pine St., Sherwood. Tigard City Hall, 13125 S.W. Hall Blvd., Tigard. Tualatin City Offices, 18880 S.W. Martinazzi Ave., Tualatin. • Beaverton Library, 12375 S.W. Fifth St., Beaverton (phone: 503-644-2197). • Cedar Mill Library, 12505 N.W. Cornell Road, Portland (phone: 503-644-0043). • Hillsboro Library, Shute Park, 775 S.E. 10th Ave., Hillsboro (phone: 503-615-6500). • West Slope Library, 3678 S.W. 78th Ave., Portland (phone: 503-292-6416). For more information, call 503-846-5800.